Watching the clock obsessively is a bad habit that can add a lot of stress to your day. 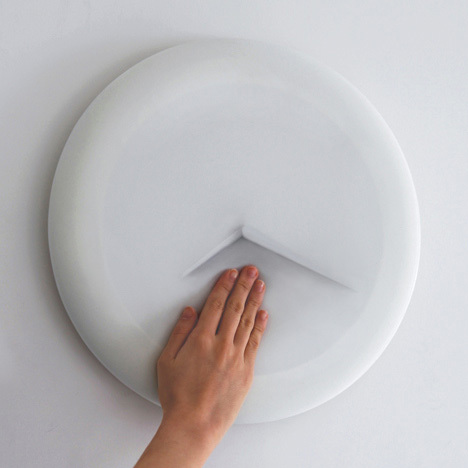 The Vague Clock from designer Sejoon Kim takes away that compulsion to constantly stare at the hands of the clock by obscuring the hands from sight. To see the current time, you have to actually touch the clock’s face. 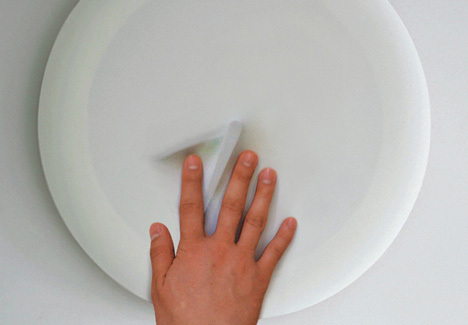 It is covered with a squishy material that reveals the position of the hands when you press in on it. 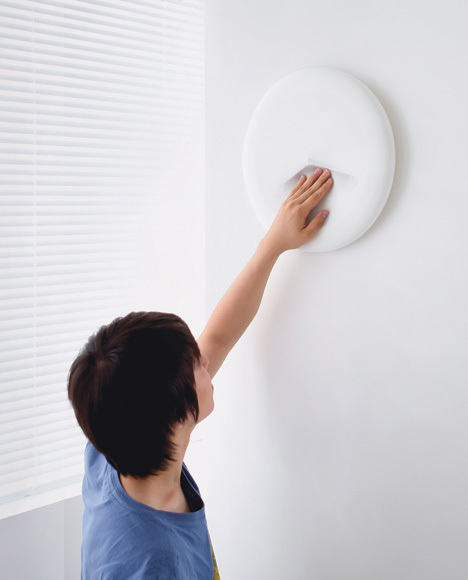 Covering up the clock hands eases the pressure to keep a constant eye on the time. If you want to check the time you have to make a conscious decision to go up to the clock and interact with it rather than passively sitting at your desk and glancing at the time. 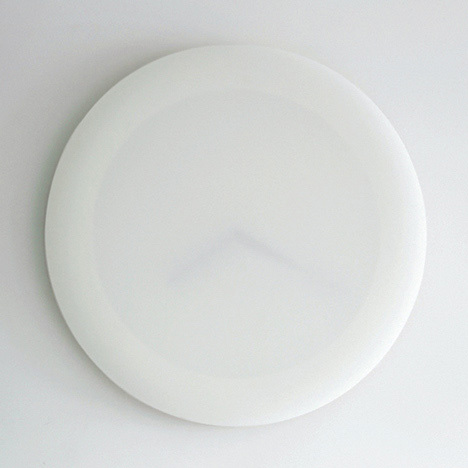 Although the clock’s hands experience a lot of disruptions thanks to being pressed on frequently the clock doesn’t lose its time. This is thanks to the GPS-updated timekeeping mechanism – so no matter how often you feel the need to squish the flexible cover and touch the hands of time, that time will remain accurate. See more in Clocks & Watches or under Gadgets. March, 2013.